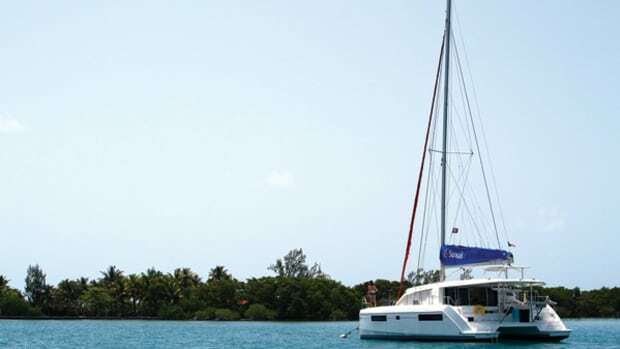 Our choice for Best Multihull Flagship in SAIL’s 2014 Best Boats program, the Fountaine Pajot Victoria 67 is a big catamaran from an established builder that puts some significant technological advances into a time-proven hull and interior. 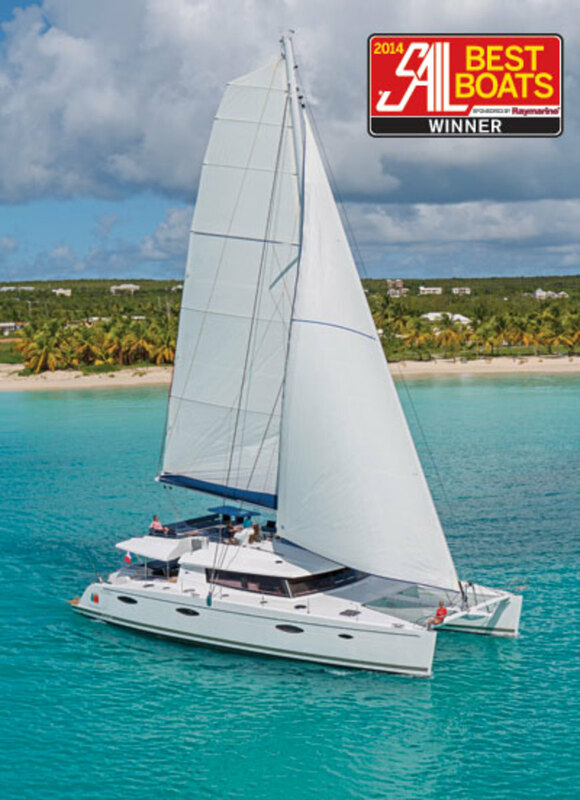 Our choice for Best Multihull Flagship in SAIL’s 2014 Best Boats program, the Fountaine Pajot Victoria 67 is a big catamaran from an established builder that puts some significant technological advances into a time-proven hull and interior. 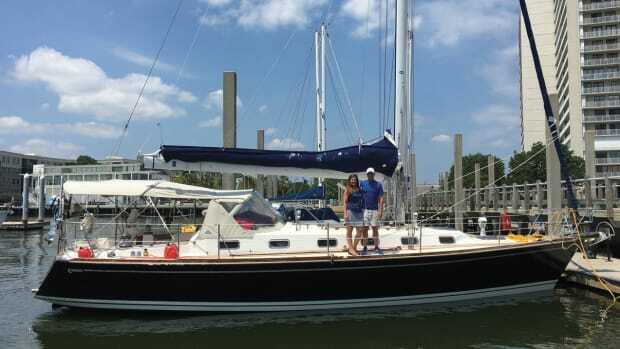 It’s also one of the must spacious and comfortable production sailboats our reviewers had ever seen.  I have been testing Fountaine Pajot catamarans since they first came to the United States a couple of decades ago, and there have been no special structural issues in any of the company’s boats over all those years. Fountaine Pajot uses new technology after it has been debugged by other cutting-edge builders, and now employs industry-standard vacuum-bagging and manual laminating techniques in its large factory near the Atlantic coast of France. The interior of our test boat was typical of this builder, with light-color laminated joinery and simple attractive fabrics. The simple, clean materials and design work together to create an attractive low-maintenance environment. 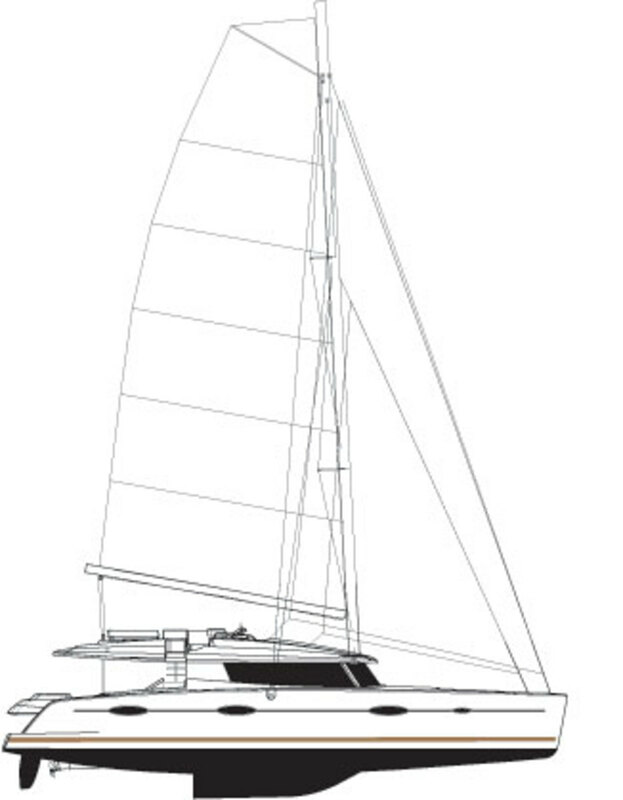 Big solar arrays on the decks can make the Victoria 67 electrically self-sufficient at anchor during the day. The house system is 24-volt, while the engines operate at 12 volts. 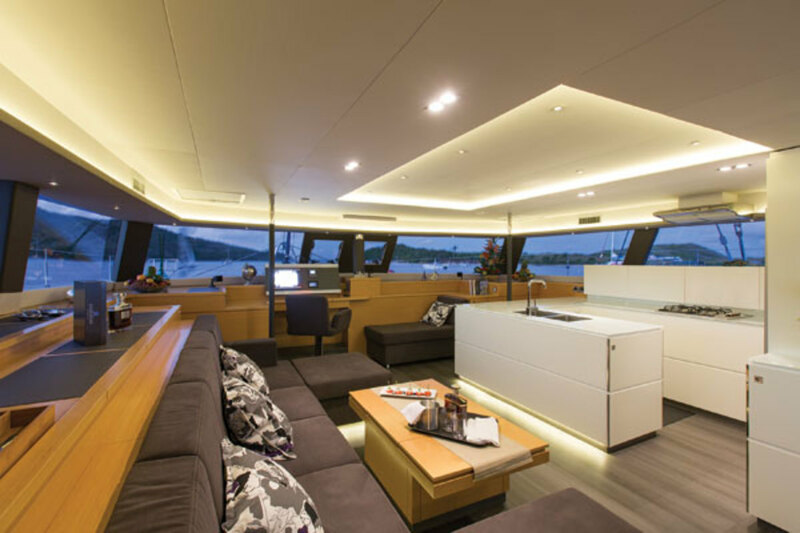 All the interior and navigation lights are LEDs, and the boat has an advanced distributed power system that is a forerunner for other boats in the future. 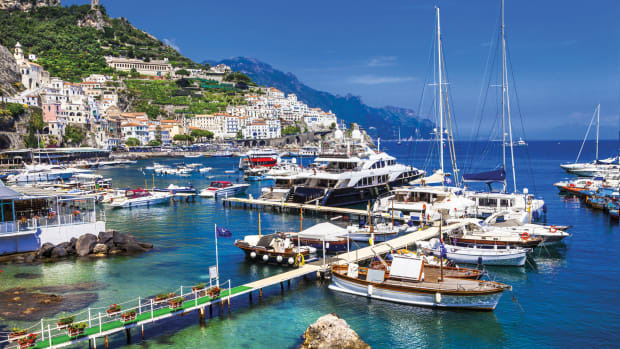 With this system, power goes from the battery banks to the boat’s various lights, refrigerators, nav equipment and other gear, with a number of dispersed breaker modules providing circuit protection and a computer-controlled panel directing and monitoring it all. The advantage to this approach is that it eliminates the need for a conventional distribution panel, thus cutting down on the complexity and weight of the boat’s wiring. The central control panel can also serve as a means of both monitoring and diagnosing a boat’s electrical usage. Look for more of this kind of systems control in the years to come. I have seen islands with less acreage than the Victoria 67. While it would be unusual for a monohull this size to carry a crew, a professional skipper will be the norm for this big cat. It is not a mom-and-pop cruiser. The deck layout reflects this. The sails carried by the Marechal-made aluminum mast and boom are large and powerful, so it takes substantial rigging and hardware to handle the loads. Fountaine Pajot has provided an extensive battery of Antal winches, including powered winches to port and starboard for the jib sheets, and a big Antal powered winch for the main, reef points and traveller. All lines lead to the center of the console at the JP3 hydraulic helm. 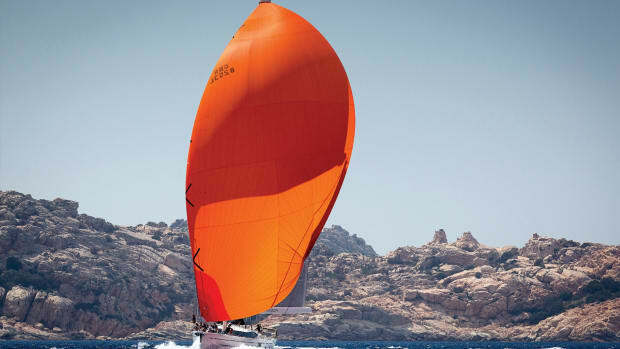 The boat is equipped with Antal hardware throughout, with a Facnor headsail furler. The standard nav/electronics package is from Garmin, with a second complete set of chartplotter/autopilot/communication electronics in the forward-facing nav station in the saloon. No need for foul weather gear when standing watch on passage aboard this 67-footer. 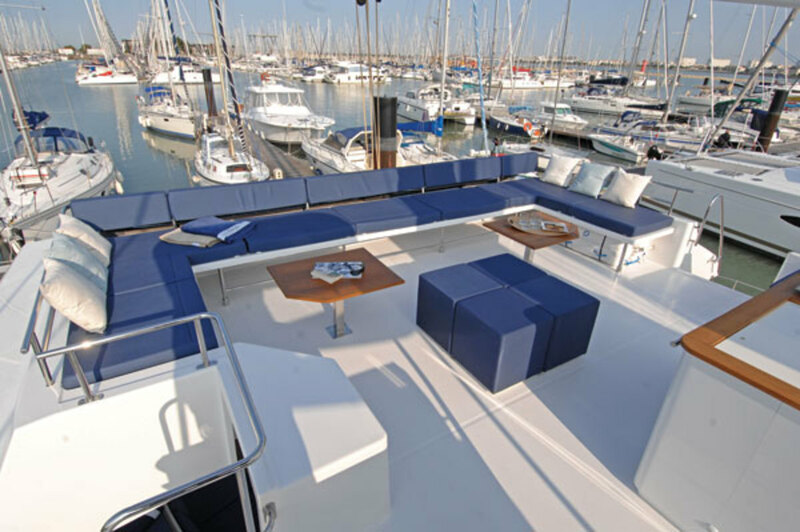 The highlight of the boat is the vast flybridge, which the builder calls, with justification, a “Fly Deck.” This is where the party will be, complete with an Indel fridge. Up there, the skipper has plenty of space to work, while nearby seating allows anybody who wants to be a part of the sailing experience to stay close to the action. Farther aft, big seats and a table can accommodate those who want to loll about in the sun. Between the two areas there’s enough deck space for a couple to tango to the music from the stereo. In rough weather, one presumes the skipper will direct everybody to a lower deck in the interest of safety. Not to worry, though: the aft cockpit and saloon are also roomy enough to handle a crowd, while the foredeck is always a wonderful place to ride and enjoy the dolphins. “Franco-chic” is what I would call the interior of the Victoria 67. On stepping through the big sliding doors from the cockpit into the saloon, with its 6 feet 10 inches of headroom, you feel like you’re entering a modern urban apartment. That this apartment has incredible views in all directions and can move smoothly at nearly the speed of the wind is just a plus. On any boat this length, the galley must be within the public spaces, but aboard the Victoria 67, that also lets guests watch the professional chef prepare the meals, further enhancing the ambiance of upscale cruising and chartering. 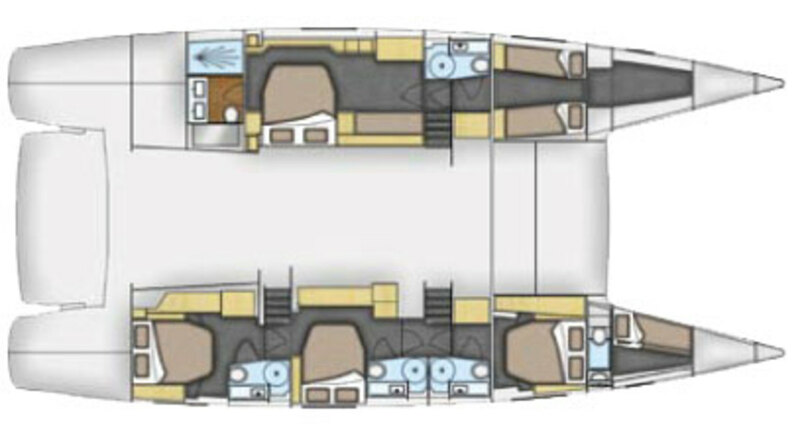 Besides the galley, which has scads of counter space and comes equipped with a Bosch fridge and a Smeg cooktop and stove, the saloon contains a big dining and seating space as well as the aforementioned nav space. There is no separate nav table, but it would be easy to spread out paper charts and books on the dining table. Visibility is wonderful all around. No real reason to go out and get damp, except when it’s time to tend the sails. Ours was the “Maestro” version of the boat, with an owner’s suite with a large bath compartment taking up most of the port hull and four double guest cabins, each with its own head, in the remaining space. There’s access to one hull’s accommodations through a private cockpit passageway, so some can sleep while the others party into the night. The crew quarters are in the forepeak. A warm day and a light southeast breeze greeted us off Annapolis for the test sail. As the air gradually built from 4 knots up to about 10, we moved effortlessly out into the Chesapeake among a collection of schooners gathered there for some kind of a race. We were showing 5 to 6 knots through the water, but speed is deceptive aboard a boat as big as the Victoria 67. There was no sensation of motion, and I could barely hear the water going by. The big square-topped mainsail, built by France’s Incidences loft, was clearly generating a lot of power. But thanks to the efficient line leads and powered winches, it was easy to control. Tacking through about 90 degrees was smooth, although we did have to roll up the genoa to move it across the two jib stays. 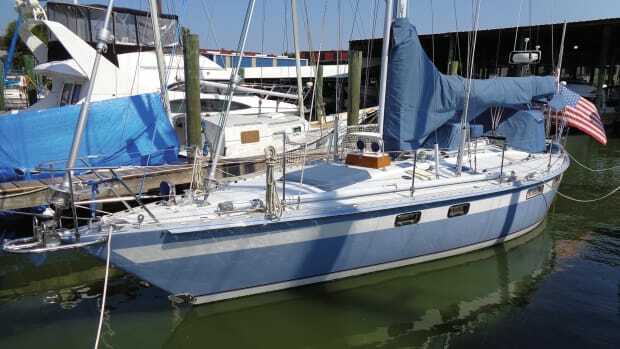 This particular Victoria 67 was going into charter with a professional crew of three and will be primarily a “Party Boat” platform, so it was not equipped with a staysail. 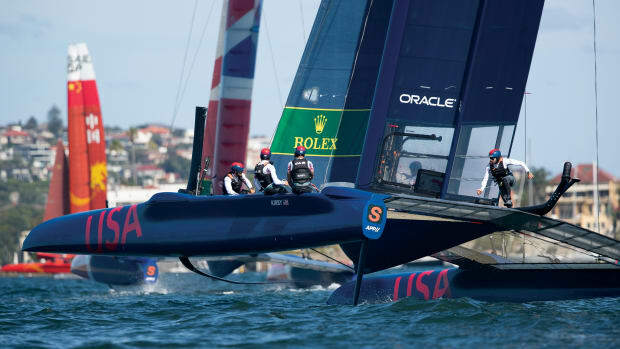 All the boat’s exposed hull and cabin surfaces create a lot of windage, and when the boat is stopped it can begin gathering way in any kind of breeze. But I did not notice any undue leeway when under sail. Fountaine Pajot builds real sailing boats, so perhaps the occasional guest will ask to have this competent vessel show its stuff in a breeze, and everybody can see what fun it is capable of. 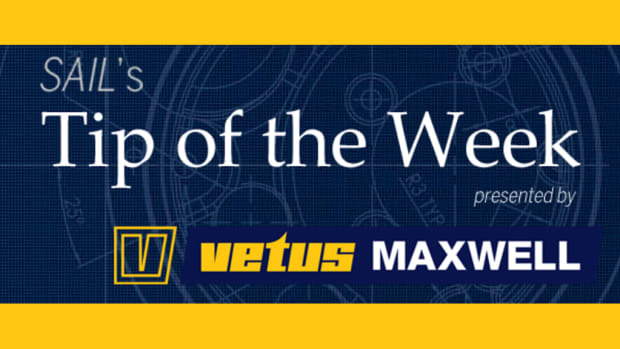 The Victoria 67 has good manners under power, with normal forward, stopping and backing responses. The turning circle without differential power is quite good, about one boat length, and of course it does the “cat pirouette” perfectly with the engines running in opposite directions. I measured 8.4 knots with both engines running at the normal 2,200 rpm cruise setting, and the sound level was exceptionally low, only 63 dBA. Your living room is not much quieter than that. One obvious use of the Victoria 67 is as a charter vessel, but it is capable of much more. With good performance and living space equivalent to a monohull 20 feet longer, it’s easy to imagine this vessel as a luxurious private yacht for an owner who prefers relaxation to exertion. Dining al fresco with friends, enjoying the chef’s latest creation on the penthouse-like Fly Deck after an easy, sparkling day’s passage through the islands—or, indeed, after an ocean passage—is not a bad way to live.